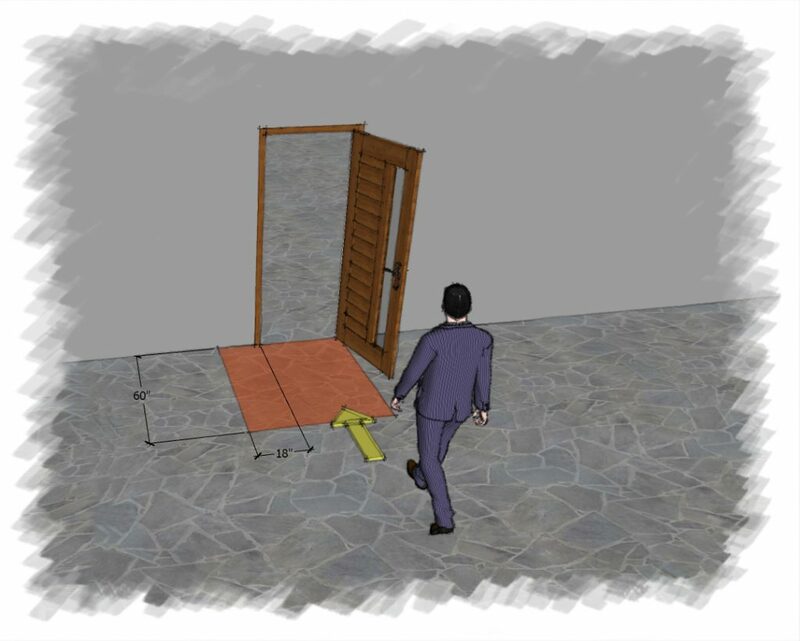 The ADA (American with Disabilities Act), established in 1990 and in affect in 1988, establishes the minimal clearances required around a door to allow the building occupant to easily approach and open a door with ease. 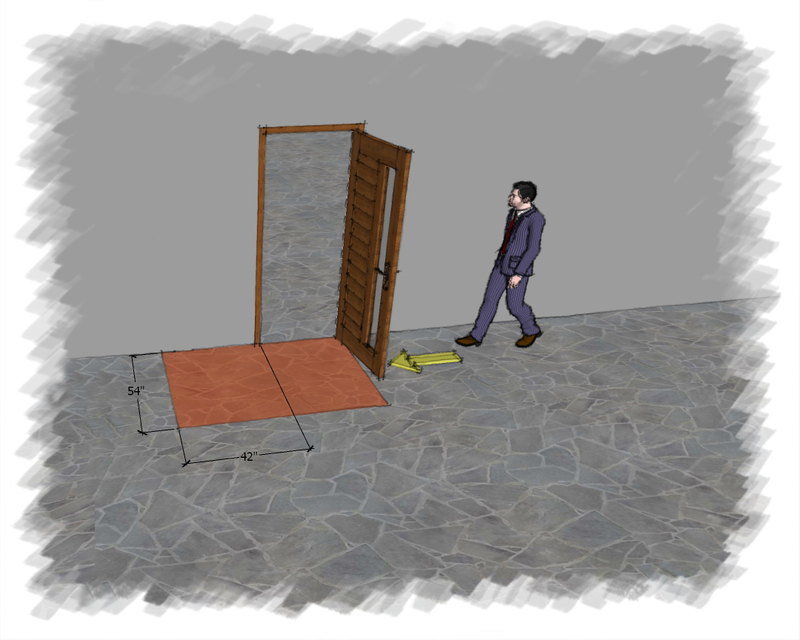 It begin when parents of children with disabilities who began to fight against the exclusion or segregation of their children to minimize the barriers created within public buildings. 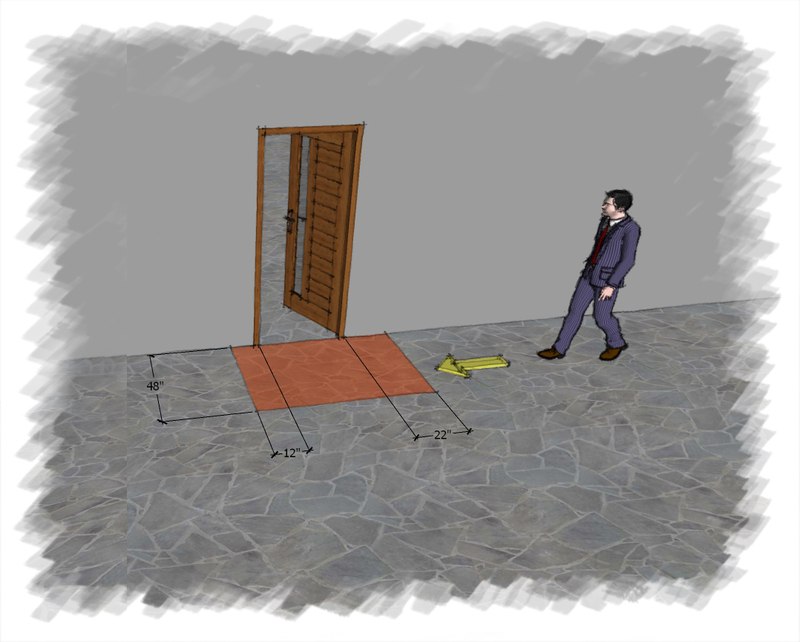 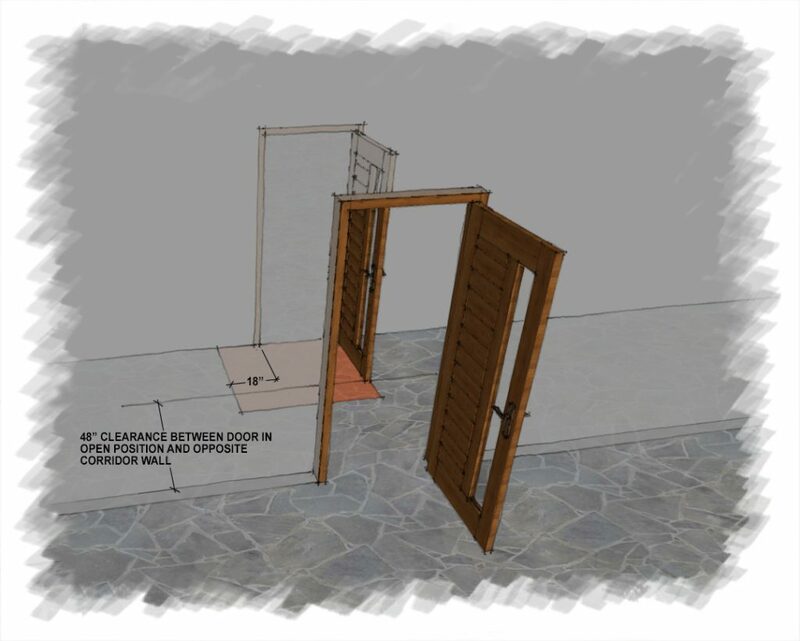 The door clearances are depicted in the following vignettes. 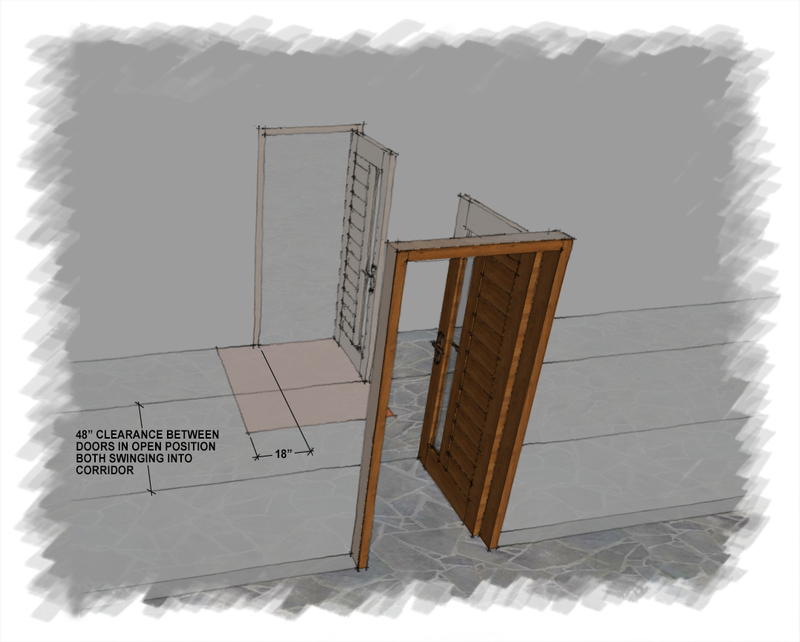 Click on image for enlarged view. 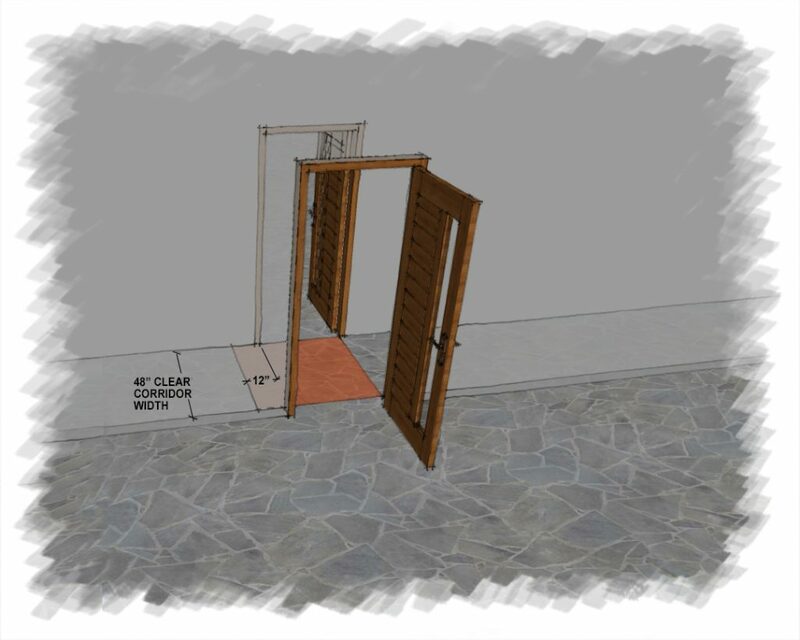 Clearance around a door is established by the ADA. 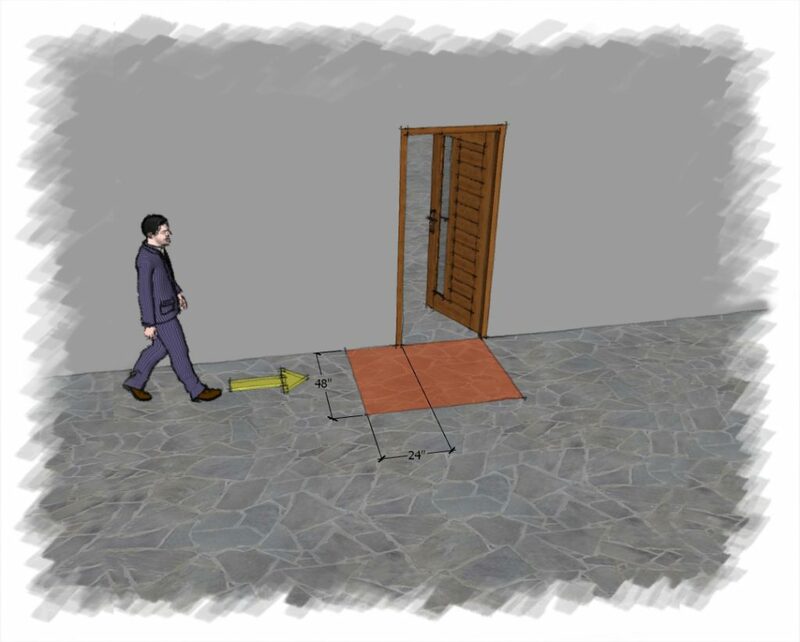 The clearances allow for the ease of an occupant to open and pass through a door opening, whether on foot, in a wheelchair or using crutches. 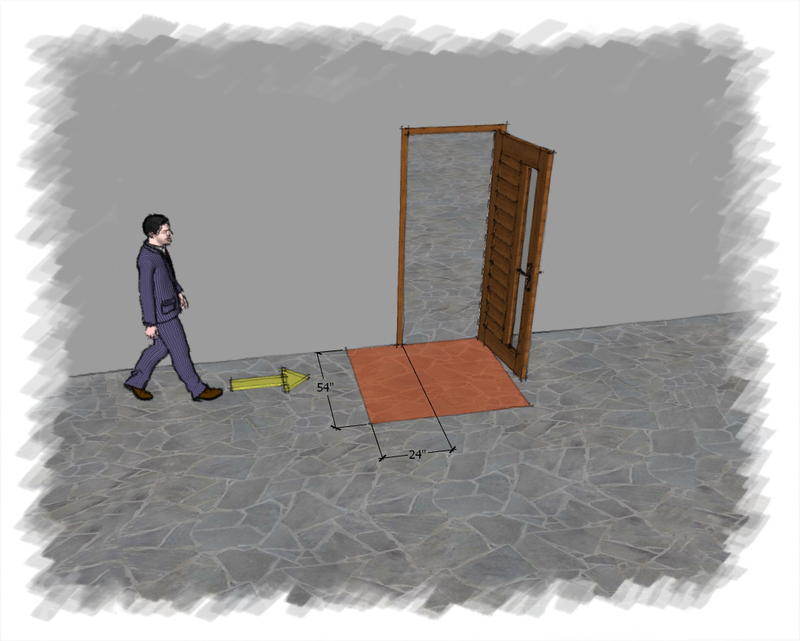 A door which swings inward generally increases the required clearances as shown on images above. 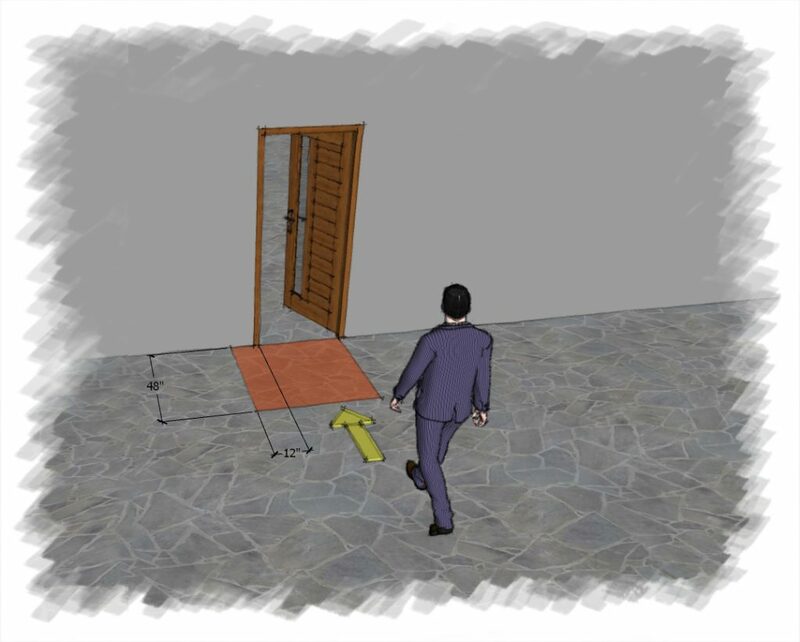 Other effects like door closures, automatic door openers can affect the operation of a door, however maintaining the shown clearances makes it easier for the occupants and satisfies the current codes established.